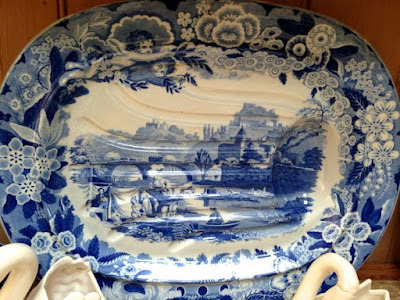 interested in transferware, so I have a good excuse to go treasure hunting for them, which is such a joy. Favorite platter, Don Pottery (1801-1839) well and tree platter/Notice the cherubs in the border. 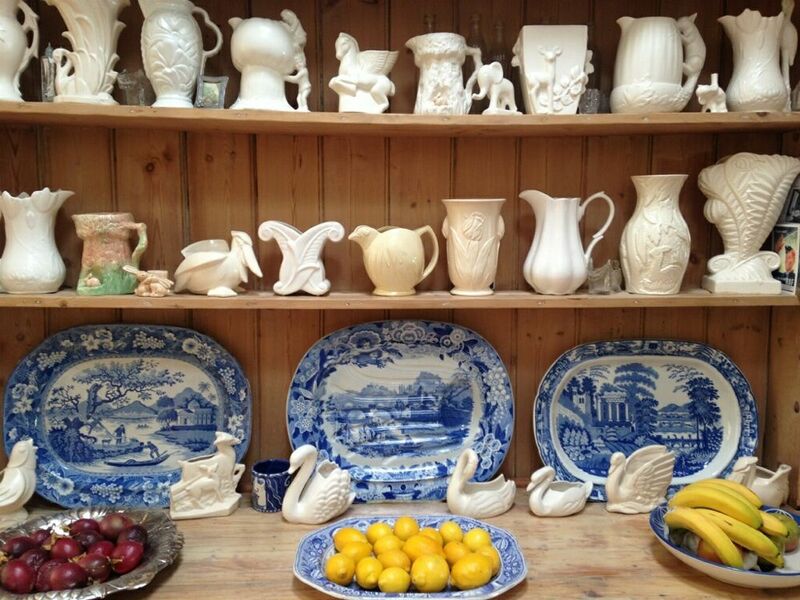 My grandmother had blue & white in her dining room as well. I grew up looking at those plates. Many years later in my early 20's I found a small group of blue and white at an auction. liked that they had animals on them and left a low absentee bid. I won the pieces and that began a thirty plus year obsession. It all started with those four pieces from the Enoch Wood sporting series. I would love to have you write a guest blog. If you are willing, include some photos of your fabulous Sporting Series collection!